I am no beauty blogger, I'm just a normal mum of three sharing the make-up I use and love. 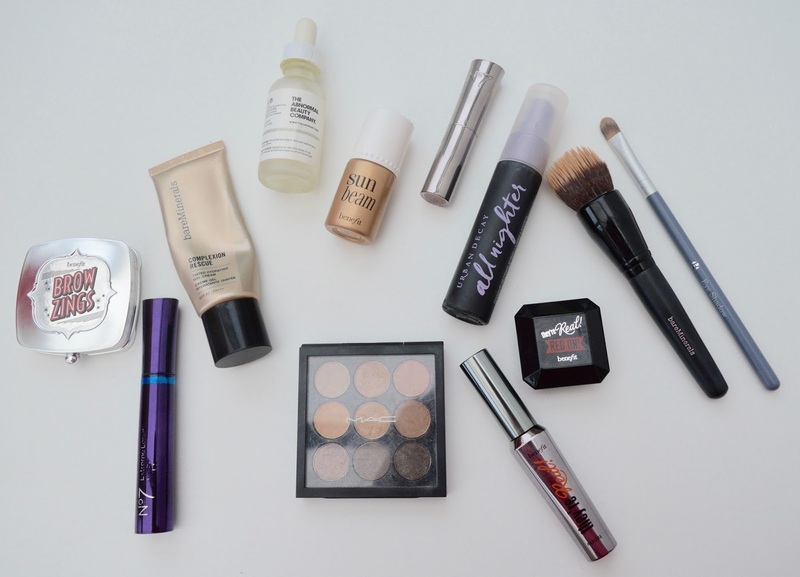 After watching this video by Nomipalony, I thought it would be nice to share what's in my make-up bag too. I don't wear make-up every day (mostly as I can't be bothered) but if I'm heading out somewhere for the day I'll usually put a little on. I do like to wear a full face of make-up on a night out and at the beginning of the year I decided now was the time to invest in brands and find make-up that both stays put and looks good/is easy to apply for novices like me too. First of all, let's start with the base. If you haven't heard of The Ordinary - where have you been? I bought their Fluid Primer from Fenwick for just £5 back in July and I would say I still have 1/3 of the bottle left. It really makes the difference and my skin feels oh so smooth after application. After this I use bareMinerals Complexion Rescue - I'd highly recommend visiting a beauty counter and asking for a colour match service (I'm buttercream). I purchased mine from John Lewis and could not be happier with the results. Complexion rescue is actually a tinted hydrating gel so not for you if you're looking for full coverage. It includes SPF 30, a BB and CC cream and increases your skin's hydration by up to 215% after just one week. For someone who doesn't wear a lot of makeup, I think this is perfect and I love the look of my skin when wearing it. I'd 100% recommend. I'd highly recommend applying your complexion rescue or foundation/base with a proper brush. 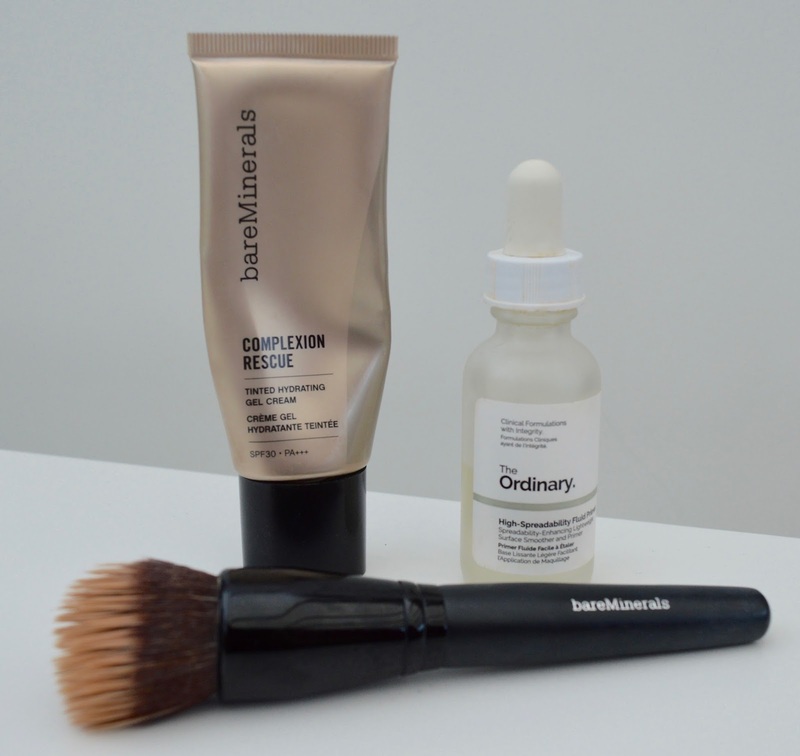 U use the bareMinerals Smoothing brush which I adore and can't ever imagine using my fingertips again. It's easy to stifle and blend and really does provide a smooth finish. I'd go as far as to say, it's the best foundation brush I've ever used. You can buy online here. 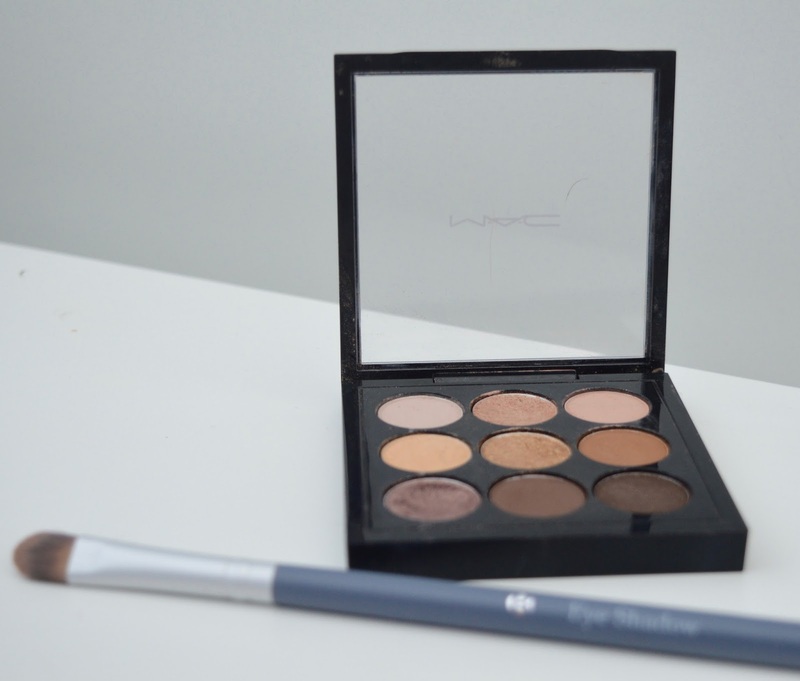 Onto the eyes and I love, love, love my MAC Eyeshadow palette (9 x Amber). You can buy this from John Lewis here or Amazon here. 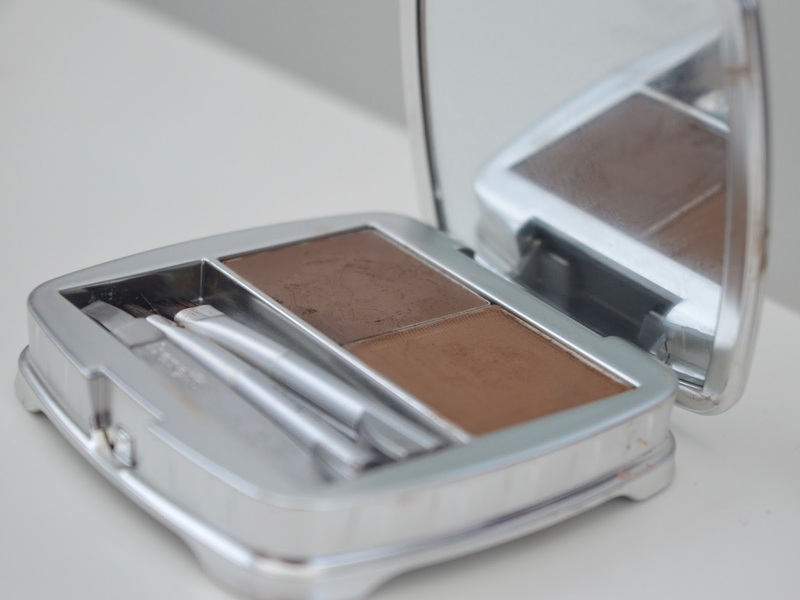 These eye shadows are perfect for everyday use and they really do last all day. 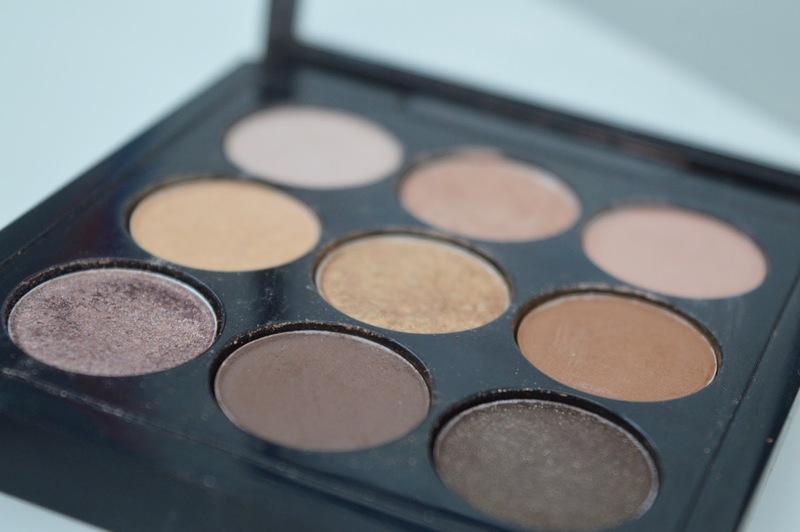 I prefer the darker shades to the lighter ones and you can easily recreate a smoky eye using these shades. They blend really well and a couple have a little sparkle in too so are perfect for evenings as well. It's honestly such a good all-rounder and when I finally get around to using this palette up I'll definitely be re-purchasing. I'm fairly new to the whole brow game and my friend Katie Meehan recommended Benefit Brow Zing Brow Shaping Kit which you can buy online as part of a 3 for 2 offer at Boots now. I use shade 3 (medium) and I love that this kit contains everything you need - there are mini tweezers to keep on top of stray brows, there's a lightly pigmented wax to shape and then a natural setting powder to finish. When I use this kit it really finishes my face nicely and makes me look a lot more done-up. I love that you can pop the whole thing in your bag too so perfect for transforming your look from day to night if you don't have much time. Mascara wise, I was recommended No7 Extreme Length Waterproof mascara (buy here) for it's staying power and it certainly does the job - it's perfect for long days or wearing during a Christmas Nativity play if you expect a few tears. This mascara just does not budge. It's the mascara I'll wear through the day but for me, it doesn't give enough of a wow factor for evening wear. So in the evening I switch to Benefit Big Lash Blowout! which I think really deos provide a proper wow factor. It's not cheap but worth the investment and it comes with a smaller sized product to pop into your handbag for touch-ups (not that they're really needed) too. Buy from Boots , Amazon or John Lewis. 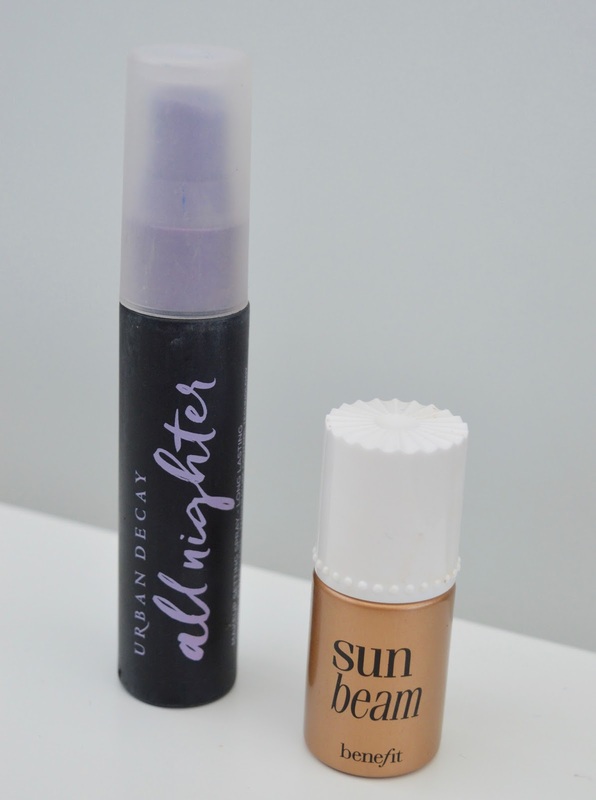 A couple of products I don't wear every day but I also couldn't live without - Urban Decay All Nighter (available here) is just the best setting spray and really ensures your make up doesn't move for the entire day and night. I only use this when I know I'm going to be out at an event all day long and a little goes a long way. I also love Benefit Sun Beam which gives a natural sun-kissed glowy look and is perfect for helping you look a little bright and perkier. Finally onto the lips. 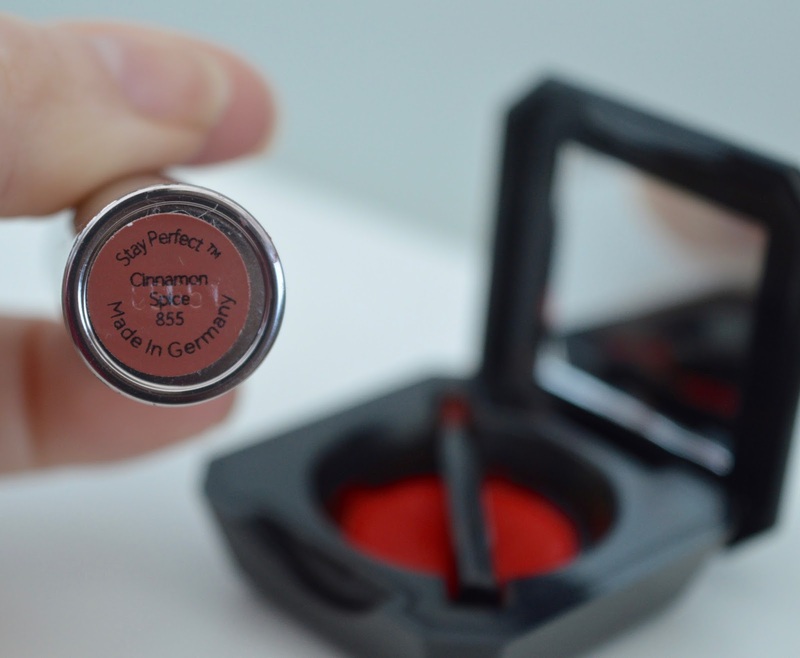 For every day wear in autumn/winter I love my Cinnamon Spice Stay Perfect Lipstick by No7. It actually does stay in place for the full day and is super easy to apply and wear. It's available in a number of shades and I'd highly recommend for daily use (you can buy here). For an evening I love Benefit They're Real| Red On! Soft Matte Lip colour which was also recommended to me by my friend Katie. 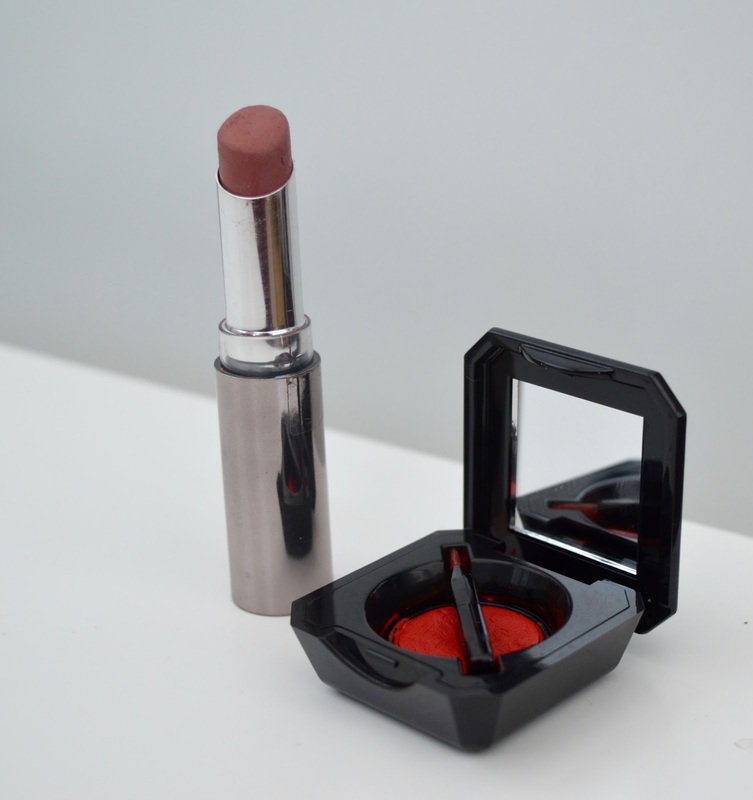 It is trickier to apply as it's highly pigmented - I'd definitely recommend using a lip liner first. I love it though and it really provides a striking finish which is perfect for a Christmas night out. Buy online here. Do you use any of the products I've mentioned? I'd love to hear about your go-to products as well. 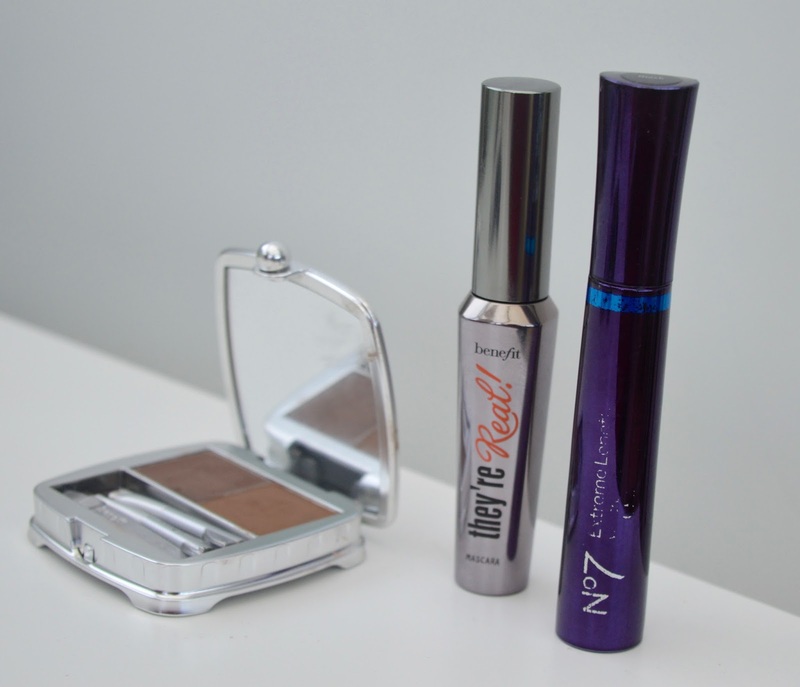 My ultimate, can't live without product is Rimmel Exaggerate Liquid Eyeliner. 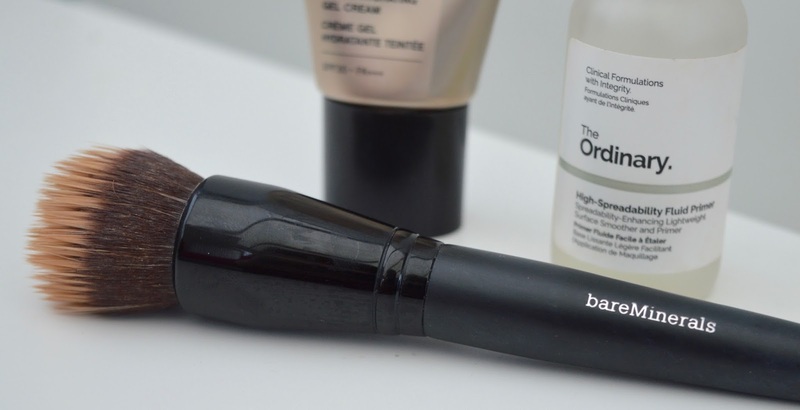 I've tried tonnes of high end products and nothing is as good as this £5 wonder. The brush is perfect! Also, I can't live without a beauty blender! I still haven't tried anything from the Ordinary, think I'm due a visit to the counter soon.